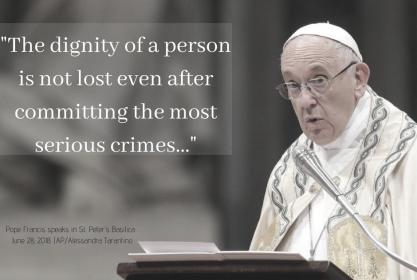 Pray for an end to the death penalty, for those scheduled for execution, for the victims of these crimes and all whose lives have been impacted by violence. Catholic Mobilizing Network wants YOU to take action and ask for clemency for those scheduled to die by the death penalty. They have recently updated their website with more opportunities for advocacy. Be sure to take a look!